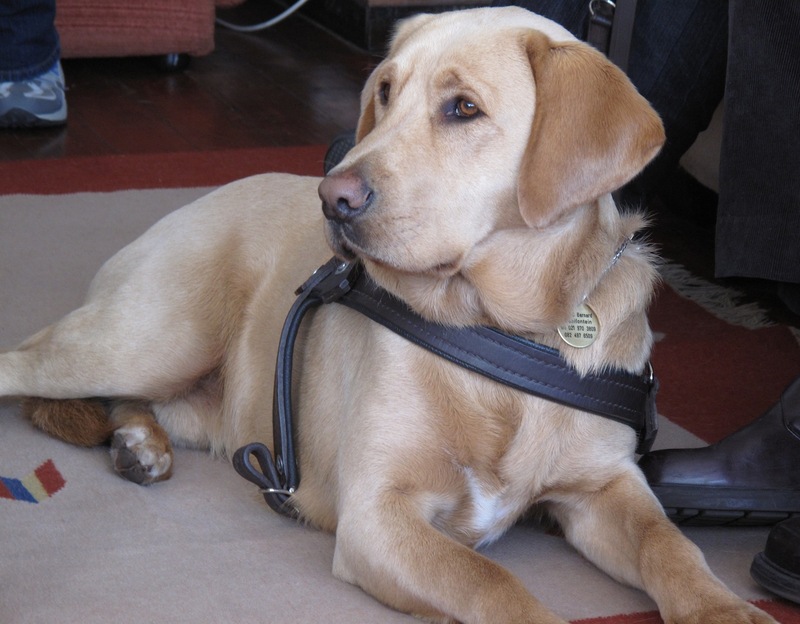 Gulliver, a Labrador Weimaraner Cross, graduated from the South African Guide-Dogs for the Blind Academy in Claremont, Cape Town on Friday 17th September. His Handler is Christine Barnard from Kraaifontein who operates the switchboard at the Durbanville Police Station. Gulliver will go home with Christine and a trainer who will work with them both to familiarise Gulliver with Christine’s surroundings. Gulliver was a gift to the Association by Michael Olivier and Neil Pendock with proceeds from their book The People’s Guide, navigate the winelands in a shopping trolley.